Vodafone AU is one of the largest and fastest mobile phone carriers in Australia. Their handset portfolio is very healthy with the combination of many great Androids, iPhones and BlackBerrys. Among all the phone Android has the best line up with some of the biggest name in the world. Today I am going to show you all the names of Android phones offered by Vodafone in Australia. This will help you to choose your mobile partner easily I think. Keep in mind that, all the phones are come with 2-year contract. I also mention the complete cost including handset, data plan and mobile plan for each handset. 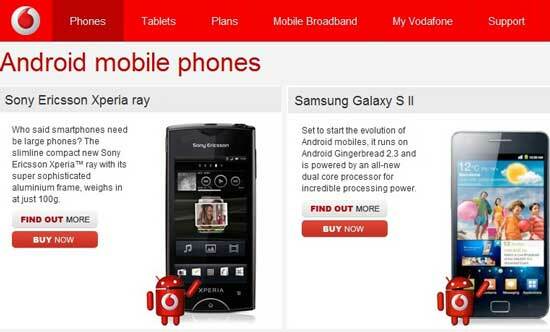 Vodafone are currently offering Android handsets from Sony Ericsson, Samsung and HTC.